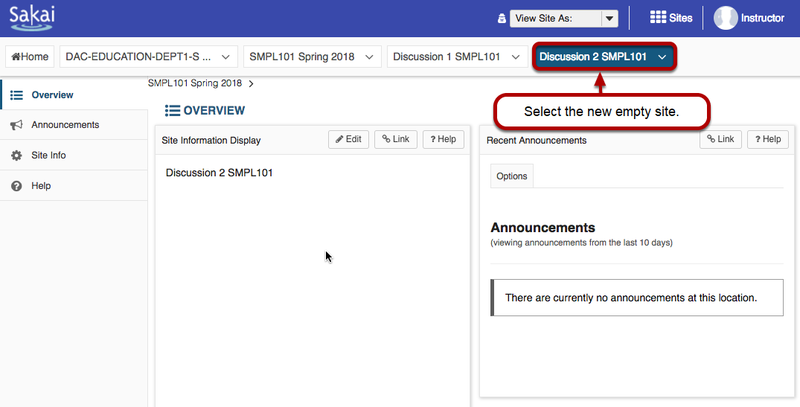 Sakai Guides and DocumentationSakai Basics Site InfoHow do I copy my content from one site to another? Select the Site Info tool from the Tool Menu of your destination site for the content you plan to copy. Tip: If you have existing content that you do not want to overwrite, or if you do not want to import Gradebook settings, choose the I would like to merge my data link instead. Zoom: List of tools with checkboxes for selecting content highlighted. 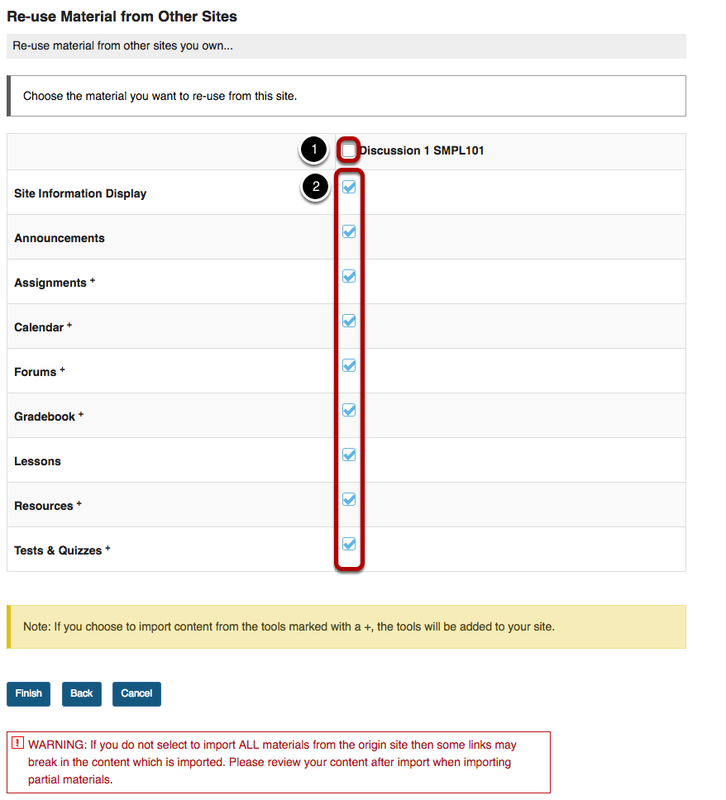 Alternatively, you can check the boxes to the right of each tool to select a subset of content to be copied. Prev: How do I make my site publicly available?